Clearing Away Some Misconceptions About Risk Management ! People with little knowledge of Risk Management may easily think Risk Analysts are just wondering about numbers and have limited interactions with internal or external stakeholders. I dedicate this post to some of these common beliefs that are - in my opinion - wrong or need to be nuanced. Risk Management being a broad discipline; please note that reflexions below are more about Financial Risk Management and not Operational Risk. Risk Management is a pessimistic discipline, only focusing on the risk of loss. This is only one side of the coin; risk of loss is generally considered because most investors are not averse to unexpected gains. But keep in mind that where you can assess the risk of loss, you can measure the gain expectations. Typically, the Value at Risk model can quantify the level of financial risk but can also measure the gain expectations within an investment process. But in my opinion, Risk Management is more about sensitivity analysis than about assessing gains or losses. Sensitivity analysis being the excess return/reward you get per complementary unit of risk you bear. Risk Management cannot predict Black Swan events and is then ineffective. In Finance, extreme events cannot mostly be forecasted, and then priced; but is the purpose of a Risk Management Department predicting the impact of any hypothetic extreme event, or understanding and informing participants about the consequences? In the context of more and more complex securities, the Risk Analyst is one of the single chain links - except the Structurer - able to understand and analyse securities and make statements to Executives. Risk Analysts live in their own little word. As for IT specialists, people often imagine Risk Analysts as people analysing figures hidden behind their computer screens. Risk Management is actually a lot about communication and interaction. Acquiring a good knowledge about securities or processes requires collecting a lot of information and data from many departments; this includes - among other things - Front Divisions or the Legal Department. From a branding perspective, maybe can Risk Management be less glamour than other disciplines; but as an increasingly popular science this still continues to offer excellent career prospects and is - in my opinion - a right career choice. 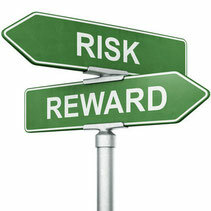 It is clearing all the ways for misconceptions on risk management. So we prefer your great resources to make perfect stories. Then people will enjoy your all the subject updated concepts.